Probably one of the most unique and challenging elements of detailing what it means to be a Third Culture Kid is confronting the differences between the TCK community and the Expatriate community. To non-TCKs, or I suppose to anyone who doesn’t understand the internal workings of a TCK mind, the two are extremely similar. 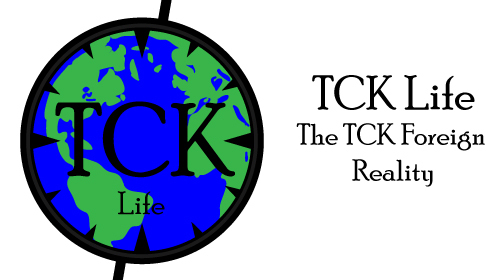 A TCK has lived all over the world, an Expat is living all over the world; a TCK doesn’t see their family often, an Expat doesn’t see their family often; a TCK is a frequent flier, an Expat is a frequent flier; a TCK knows the world in boxes and moving vans and shipping containers, an Expat knows the world in boxes and moving vans and shipping containers; and a TCK shows elements of cultures from around the world, while an expat shows elements from cultures around the world also. To an outside observer, the two may very well be the same. But to us, the TCK community, we are entirely different from our expatriate counterparts. We are all built out of a sequence of events that has led to the development of our personality. Every structure capable of weathering time, especially the structures of our lives, must start with a strong foundation. This foundation is the blueprint for everything that’s built upon it, and each brick that’s laid on top of the next will either hold strong if it matches the plan, or will crumble if it doesn’t meet the requirements that our foundation has produced. Like many things I write about in regards to Third Culture Kid Life, I make a conscious effort to find a neutral and core principle that encompasses the entire doctrine, then build up my explanation around that single idea. I do this for the sake of the parents of TCKs that read these pieces, not for the TCKs like myself that already understand on a fundamental level what it means to feel the way we feel. This collection was created to help explain who we are to those who simply cannot understand. So, when you’re taking on the impossible, I find that the items that are relateable to both parties are the only bridge to partial understanding that we can create. When it comes to understanding why we as TCKs are not in any way the same as the traditional expat, even when we are living an expatriate life, I find it all boils down to one simple word with a sea of meaning; That word is “foreign.” To an expat, all travel is foreign. They are foreigners in a foreign land, outsiders, people living in a country that isn’t their own. Some of them love the place they’re in. Some hate it. But no matter how they feel about it, that country is never their home. They will always be intrinsically connected to the culture of their youth. They will have customs and lifestyle ideas that cannot be changed at all, and even more that cannot be changed without a great deal of effort. It’s because of this interwoven knowledge that they are foreigners that will either make or break the experience for every single expat. They will either love viewing the world through their first culture lens, saying “Look at how different this is!” or “Back in [Home Country], you’d never be able to find one of these!” Or they’ll hate the entire experience for exactly the same reasons. But in the end, that lens through which they are analyzing their experience, the way that they are viewing the world, is built out of a single culture and a single line of experiences that was developed in their youth. They will always be First Culture Kids living in a world full of other First Culture Kids that are just completely different to themselves. Of course, this does not mean an expat will not adjust. I have met many expats that have done their absolute best to assimilate into the life of a different country and culture. Plenty have even succeeded, at least on the surface level. But the truth is that during the developmental years of their lives, the years that built the foundation for the person they were going to become, their personality was constructed from the brick and mortar of a single culture. This is where the TCK split comes into play. The stability that the Third Culture lacks, the one that has been a rampant part of almost every single article of the TCK Life collection, means that we view an expatriate life in a completely unique way. When we move to a foreign country, it isn’t anymore foreign to us than the last place we lived or the place our parents call home. The most common similarity with every TCK is that home to us is nothing more than a word other people use to describe the place they grew up in. We are the children of the world, the global nomads that pick up and go not because we are wanting to experience something drastically different to what we already know, but because we are trying to add to the foundation of our development. The baseline of our lives, one that for FCKs was built out of stability and consistency, was built for TCKs out of country after country that had nothing to do with the place from which our parents originated. For me, moving isn’t a burden. There is no fear in packing my things and starting my life somewhere I know absolutely nothing about. There is no discomfort in having no friends for the first few months of my stay in a different place. There is no paranoia in knowing I will not be able to understand, to interact, to survive with ease and simplicity. In truth, all those things inspire me. They motivate my internal cultural mixing pot and drive me to absorb everything around me. They make me adapt, to change, to understand everything I possibly can. Where an FCK will attempt to understand a foreign country by drawing parallels to the culture of their youth, a TCK will view a foreign land without bias or commitment from a land called “home.” I walk into any situation believing I will absorb and change in any way that inspires me. I am English by birth, American/UK by passport, and Global by culture. None of these things define me. All of them define me. Really, the difference between an expat and a TCK is simple. To an expat, a new country is always a foreign place full of differences, good or bad. To a TCK, a new country is a place that makes the entire world a little less foreign, and a little more part of who we are. This entry was posted in Cultural Identiy and tagged Culture, expat, expat life, expatriate, expatriate life, Expatriates, Expats, FCK, FCKs, First Culture, first culture kid, First Culture Kids, Foreign, TCK, TCK Life, TCKs, Third Culture, Third Culture Kid, Third Culture Kids, Travel, World Culture, World Travel on July 30, 2012 by James R. Mitchener. Well put! Would you think that one of our biggest challenges is to be understood? You know, I used to think that was the case, that no one really understands TCKs but other TCKs. But as I am going along, I’m starting to think that maybe the biggest challenge we face isn’t that we aren’t understood, but rather that we can’t understand the single-minded-views of cultural and life that blanket the minds of many people on this planet. And I think that’s where the roadblock comes into play. When we meet someone who has a home, who believes that their solid place in the world is right there wherever they are, who has no desire to learn more and doesn’t care about anything outside of their little pocket of the world, we reach a complete impass. Our natural ability to assimilate cannot merge into a culture like that. It’s the exception that proves the rule of our natural ability to evolve regardless of where we are. And I think for us, that’s the biggest challenge. Facing the people in this world, of which there are oh so many, who we simply cannot understand. I just had to comment on this because you commented on my similar post! I must say it is interesting reading your writing. You have a earnestness about you that I find difficult to insert in my writing. Also, I love your end sentence. That is exactly how I feel. Thanks Cecilia, I really appreciate that. I’m very glad you liked it. I really enjoyed this post, especially that last paragraph and last sentence. I had never thought of the differences between expats and TCKs so clearly, but the way you went about comparing them in this post makes a lot of sense and it was very well-written. I’m glad to hear it. 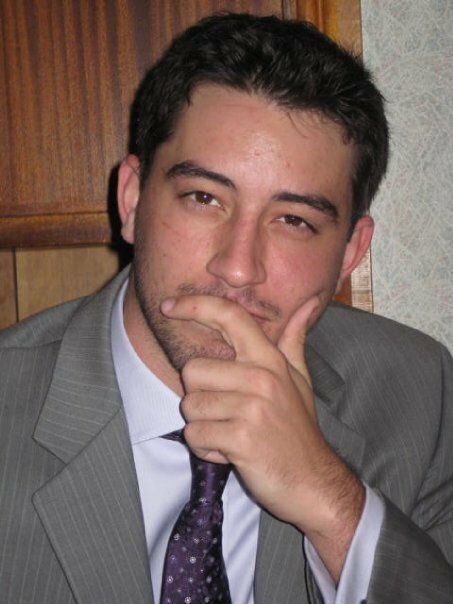 This post got posted on tumblr and got quite a few negative responses due to the over-generalization of TCKs and Expats. As usual, my response was simple: I have only 1000-1500 words to explain anything. Don’t expect a novel. That’s coming later! I’m very glad you liked it. Cheers! So content having found your blog with a new ‘definition’ of who I have been and who I will always be. It feels good to have a ‘definition’ that embraces the ‘comfort and discomfort’ we have encountered throughout our lives. Likewise, the fact that there are others who understand some of the outcome (effects) from the differences we live with because of our unique backgrounds (culture, race, nationality, etc.) Mix these with age, sexual orientation, beliefs, political ideas, gender dysphoria, socioeconomic ‘class,’ immigration or residence status, religion or non religion, etc. brought along to the dominant culture. James, you opened a big exploratory door. Thanks.